COSAM’s Office of Student Services welcomed a new academic advisor this month, Meredith Jones ’12. She received an undergraduate degree from COSAM in biomedical sciences and then attended Clemson University where she received a master of education with a focus in counselor education. During the past five years, physics Professor Edward Thomas developed the mantra, "No stress, no stress, no stress." By repeating the phrase over and over, he had hoped to stave off any ill effects that might result from overseeing the creation of the new Magnet Laboratory at Auburn University, which included the development and delivery of a 6,000-pound superconducting magnet, the only one of its kind in the world. Geology graduate student Erik Heider has received a prestigious Barringer Family Fund award for his proposed Masters thesis research at Wetumpka impact crater in Elmore County, Alabama. The Barringer Family Fund award is given to a few students each year from around the world for outstanding proposed graduate research projects in meteorite impact craters. Mr. Heider was the only domestic US student chosen this year. For more than a century, researchers have believed that sponges represented the earliest living lineages of the animal tree. 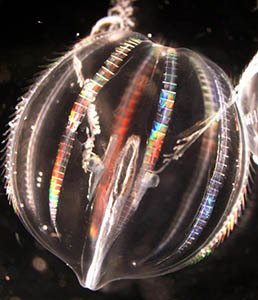 Thanks to modern genomic sequencing techniques, scientists in Auburn's College of Sciences and Mathematics discovered that ctenophores, or comb jellies, are actually at the base of the animal kingdom. The research results have been published in the journal Nature and can be read at this link. 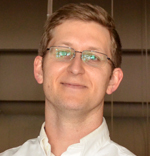 Dr. Christopher Easley has received a three-year grant from the National Science Foundation for his proposal entitled “Hormone-Responsive Electrodes for Quantitative Discourse with Endocrine Cells”. Dr. Orlando Acevedo’s proposal entitled “Collaborative Research: Protein Arginine Methylation” has been funded by the National Science Foundation. Dr. Acevedo will collaborate with Dr. Joan Hevel of Utah State University on this three-year project. Three Auburn University Honors College students, including Jamesa Stokes, a senior physics major, have been awarded Fulbright Scholarships to continue their studies in the United Kingdom and Germany this summer and fall. From May 19-23 Auburn will host 31 researchers representing nine institutions in the U.S., Canada and Germany participating in a genomic analysis workshop or “Bioinformatics Bootcamp”. Initiated by the NSF-funded WormNet2 grant, the workshop will train participants in various aspects of next-generation DNA sequencing data manipulation including genome mapping, assembly, annotation and phylogenomic analyses. Faculty, postdoctoral fellows, graduate and undergraduate student teams will attend lectures and collaborate on group projects using AU supercomputing resources. Biological Sciences faculty Scott R. Santos, Les R. Goertzen and Ken M. Halanych will provide instruction. Registration for this week’s workshop is closed but efforts to develop a regular workshop to promote bioinformatic training are underway. A PDF of the 2014 Bioinformatics Bootcamp syllabus can be found here. The Georgia and Alabama Plant Conservation Alliances met jointly for the first time May 1-2, on the Auburn campus. The meeting highlighted local efforts toward addressing plant conservation issues in both Alabama and Georgia and featured guest speakers from Atlanta Botanical Gardens, the Georgia Plant Conservation Alliance, the Alabama Plant Conservation Alliance and the Auburn University Donald E. Davis Arboretum. Participants also toured the Davis Arboretum where many native azaleas and other native plant species were in bloom, as well as the John D. Freeman Herbarium, which is housed in the Auburn University Museum of Natural History. The meeting culminated with a trip to Wadley, Ala., where attendees explored the plant life on a granite rock outcrop. Graham Gordon, a COSAM Honors College student double-majoring in mathematics and physics, has been chosen as a 2014 Barry M. Goldwater Scholar, an honor that is only bestowed to a approximately 300 students nationwide each year. Collins is running a "green fields" exploration project for African Barrick Gold, in western Kenya, and this is a picture of him showing some visible gold in drill core to the Kenyan Minister of Mines. 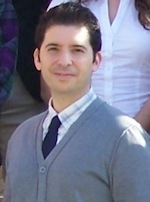 Dean Nicholas Giordano announced that Dr. Orlando Acevedo has been selected for the 2014 Young Faculty Scholar Award.